Sydney and Gold Coast are separated by 848 kilometers and it takes around 9 hours of constant driving to cross the distance. Transporting cargo from a location in Sydney to the destination in Gold Coast can be time-consuming and stressful, even if you need to transport a couple of items at a time. 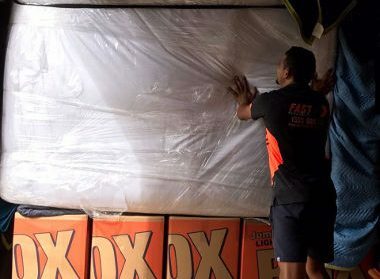 At Fast Removalists, we encourage clients to hire backloading Sydney to Gold Coast services instead of carrying out the move without professional assistance. Our backloading and interstate removals services are handled by experienced removalists. Full-scale removal services usually involve booking an entire moving truck and hiring a team of interstate and furniture removalist. This service is suitable for long-distance removals involving a large amount of cargo but can prove to be quite expensive for long-distance removals for a small number of items. If you book an entire truck for a small removal, you have to pay for a significant amount of space you don’t need. That’s why our backloading services are a great alternative to full-scale removal for people who just want to transport a couple of items. Instead of paying for the entire moving truck, they only pay for the amount of floor space they use. Why Hire Backload Removalist Sydney to Gold Coast? 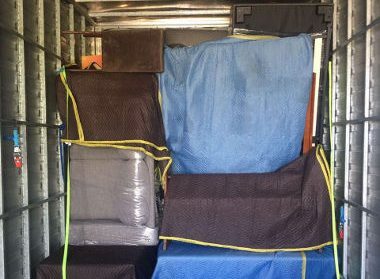 Backloading removals Sydney to Gold Coast are affordable – During full removals, we transport cargo from a point in Gold Coast to a point in Sydney. After we unload all the cargo at the destination, the truck is empty and must make the journey back to Gold Coast. This gives us the opportunity to provide our clients with an affordable and convenient service in the form of backloading. They can book a space on this returning truck at a low cost and have us pick up the cargo from their location. Clients share the cost with other clients transporting cargo on the same route as we handle backloading orders from different clients at the same time. Hiring a backload removalist Sydney to Gold Coast can help the environment – As mentioned before, the empty truck has to make the return journey a removal is complete. This trip consumes fuel, causes emissions, and adds the traffic on popular routes but serves no purpose. By hiring a backloading service, you fill this empty truck and don’t need to hire or use another vehicle to transport the cargo. This helps reduce the number of vehicles on the road and the emissions caused by them, which reduces the stress on the environment. 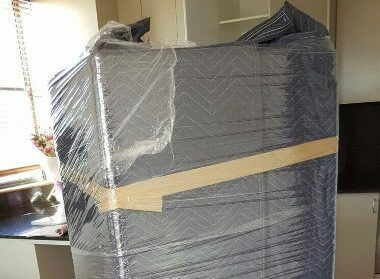 That’s one of the reasons why we always encourage clients to book our backloading removalists for small moves. 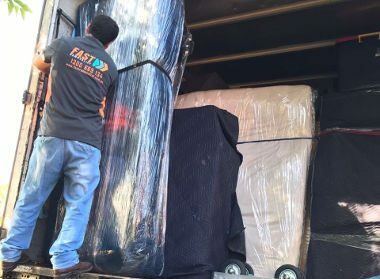 Cheap and safe backload removalist Sydney to Gold Coast – There’s no compromise on the quality of services offered during backloading. Our removalists carry out the backloading removal with the same amount of dedication and finesse as regular full-scale interstate removals. While this service is affordable, you still get the best from our cheap interstate removalists. 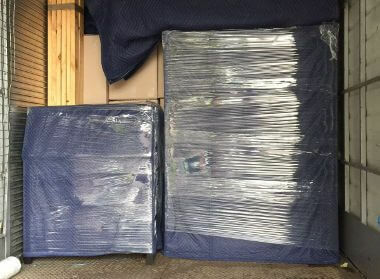 Backloading interstate removalists Sydney to Gold Coast – Experienced interstate removalists know how to transport items over a long distance without causing any damage to it. They make sure all items are loaded properly, anchored securely, and accounted for when they reach the destination. Our removalists also know how to keep track of different items from different clients so they will make sure nothing is misplaced or lost. All removal teams also include a furniture removalist to ensure no item is damaged during the removal process. Backload furniture removals by professional furniture removalist – Furniture removals can be tricky because these items come in different shapes and sizes. They’re not easy to carry and transport, and require special skills for removal. Our experienced furniture removalist knows how to carry and load all kinds of furniture items safely. They’ll make sure your property and the cargo aren’t damaged during the removal. Professional removalists will also provide advice on packing techniques and materials so you can make sure all items are safe to transport. Why Are We the Best Choice for Backloading Removals and Transport? We’re well-known backload movers and have worked in this industry for a long time. Our team includes an experienced interstate removalist and a furniture removalist to ensure all cargo is transported safely and without delays. We are a well-established backloading moving company with all the required licenses and permits for interstate removals. You can rely on the quality of our services and know we will live up to established industry standards. Our removalists are always willing to help you plan the budget for your move. We provide accurate backloading quotes with no hidden costs. Our website has an interstate moving cost calculator that gives a rough estimate of the costs involved as well. 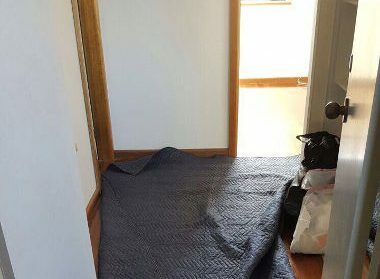 Our interstate removalists Sydney to Gold Coast have insurance for all removal jobs, including backloading so if any item is damaged or lost during the removal process, the insurance will cover the costs involved. Our expert team of backloading removalists knows how to keep track of cargo from different clients so items aren’t misplaced and there are no unexpected delays. All clients need to do is pack and label the items carefully and our backload movers will handle the rest. Proper labeling helps us keep track of all items and get them to the right destination. At Fast Removalist, we offer expert backloading Sydney to Gold Coast services at an affordable cost. If you want to know more about our high-quality moving services, don’t hesitate to give us a call. Our team of removalists will help you plan and book the backloading removal according to your convenience.